> > > Thanks, this reply definitely clears up quite a few loose ends! > > case the PDE points to a page table, which also has 1024, four byte, entries, each one valid or invalid. > > Valid ones contain a translation to a physical page address, the invalid ones don't. > > > the page tables to locate the needed information, or does it scale from L1 to L2 to L3, etc.? > > to a physical address, the physical address is used to look up the requested cache line in the L1 cache. > > etc., and ultimately main memory. After the translation happens (once), it doesn't happen again. > has just been eating up a lot of my time as the summer comes to a close. > register would keep this physical address documented in the special registers; yes? Not on x86. Assuming the two level page table format, each four byte entry in the page directory covers 4MB. If the first 244MB (61 entries in the PD) are not to be mapped, then those 61 entries will be marked invalid, and they will not point to page tables*. The Page Directories and Page Tables the PD points to are each a single page (4KB) in size. 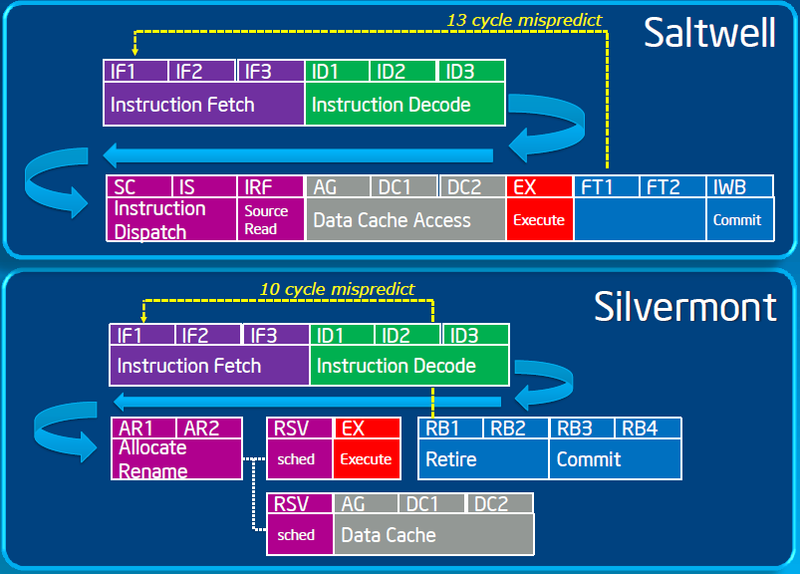 Some other architectures have allowed some variability in the size of the structures, but x86 really does not. *Actually they could, but then you'd need each page table to have 1024 four byte entries marked invalid for each page. > case, would it scale up chronologically? L1 to L2 to L3, etc? If there's a TLB miss, the page table walker (whatever mechanism that might be), will step through the page tables (in whatever format those might be), to find the actual translation. On most architectures those accesses are fairly ordinary memory accesses, and thus can be cached in the ordinary cache hierarchy. On x86, with a two level page table, let's say CR3=0x12345000 (thus defining where the page directory is) and the virtual address we want to look up is 0x6789abcd. That's split into three components - the 0xbcd is the offset in the page we want to access (and thus does not require translation). The upper part is split in half*, with 0x19e being the index into the page directory, and 0x09a being the index into the page table. So the CPU will read the four byte page directory entry at address 0x12345678 (0x12345000+4*0x19e). Let's say that entry is marked valid, and points to a page table at 0xaaaaa000. The second index is then used to read the page table entry at 0xaaaaa268 (0xaaaaa000+4*0x09a). That page table entry, if marked valid, contains that address of the actual physical page mapped to that virtual address. Let's say that's 0xeeeee000, then the final memory access would then be performed to 0xeeeeebcd (0xeeeee000+0xbcd).